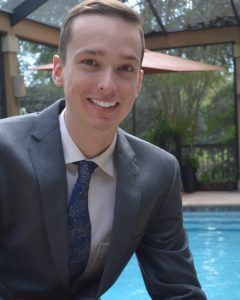 Conner has lived on the Emerald Coast for seven years, dividing his time between Destin and Tallahassee. Conner graduated with a double major in Business Management and Criminology in 2017 from Florida State. He is completing his Masters of Business Administration at the University of West Florida. His interest in real estate began when he purchased investment properties in Tallahassee and 30-A with his family. Conner is dedicated to helping buyers find the ideal property that meets all of their objectives. Let him leverage his education, experience, and focus on exceptional customer service to help you find the perfect home or investment property!